Neighborhood Health Centers of the Lehigh Valley provides a discount on all primary care services for patients qualifying for the Sliding Fee Discount Program based on income and family size, and no other factors. Patients who have income at or below 200% of the Federal Poverty Level are qualified to receive a discount on services upon completion and approval of a Sliding Fee Discount Program application. Patients with income at or below 100% of the FPL qualify for a full discount on primary care services, so only a nominal fee is requested. 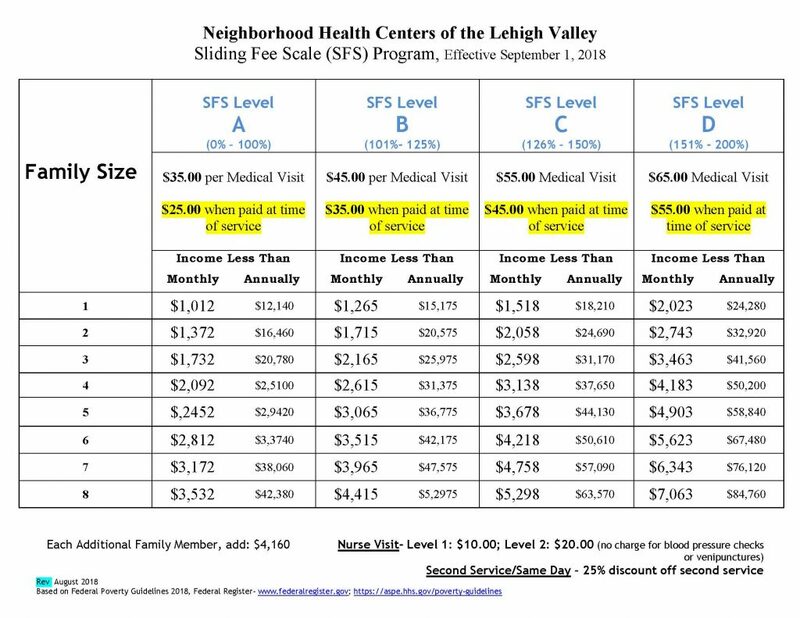 The Sliding Fee Discount Program, through use of the FPL, provides discounts on a sliding fee scale basis for any patient between 101% and 200% of FPL. The program application requires a patient to provide information on members in the household (family size) and the income of members in the household, along with proof of income to document the last month of income for each member in the household. 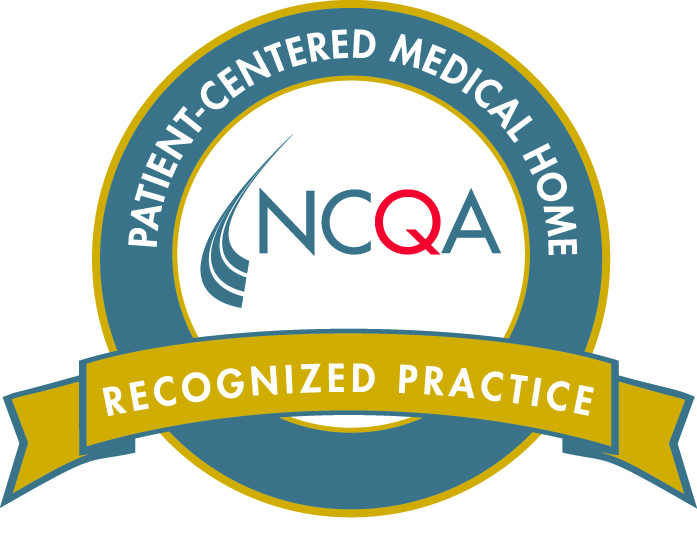 This program was established to assure patients are able to access primary care services provided by NHCLV based on ability to pay, with discounted fees set at a reasonable amount to assure no patient is denied care due to an inability to pay. Patients are informed of the Sliding Fee Discount Program through posted signage at all service locations, patient brochures and by the NHCLV staff. Learn about the Sliding Fee Discount Program on the U.S. Health Resources and Services Administration web site HERE.